A silent retreat is a beautiful group process that helps to purify ourselves more deeply and to reconnect with our true self, taking the time to investigate what prevents us from happiness and developing our ability to detach ourselves from our life turmoil and our wrong identifications. With the help of the silence, the practice and the group energy, we progressively free ourselves from our stress, worries,... to experience a deeper attunement to our true nature. 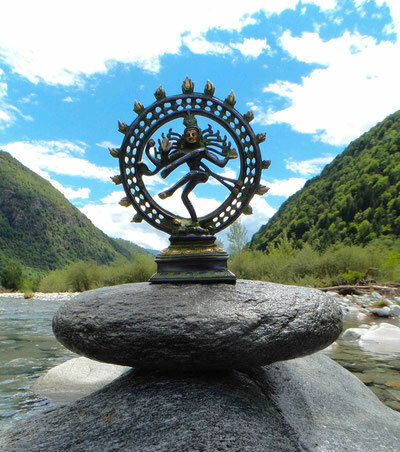 From Soul to Spirit: This silent retreat is designed on working mainly on Anahata (Heart chakra) and Sahasrara (Crown Chakra) and their reunion in the Spiritual Heart, the Heart of Siva. During this retreat, we are working on awakening our Heart, the soul, jivatman, leading progressively to the awakening to our true essence, the Spirit, Atman, pure awareness and reuniting both. Anahata and Sahasrara can be considered as the most essential energy centres, poles of our being, the indispensable bridge for any authentic mystical experience, any genuine spiritual awakening. Sahasrara (Crown chakra) represents, in all genuine spiritual paths, the emphasis on reaching a recognition of the emptiness as substratum of reality, the no-mind, the non-manifested aspect of the Being. Anahata (Heart Chakra) comes then as the greatest importance in order to reintegrate this recognition of the Void in the manifestation by awakening True Love, Compassion, by developing our ability to embrace fully all the aspects of the manifestation as a reflection of the Divine. It means also by embracing all the aspects of ourselves: lights and shadows. Both poles are so indispensable to each other and their combined activation promotes a strong door for deepening our spiritual growth. The combined activation of these two essential poles are synthesized under the name of the Spiritual Heart or the Heart of Siva, the core of our reality, of our being. We explore these fascinating topic through various meditation techniques (both sitting and in movements) issued mainly from Kashmir Shivaism, Advaita Vedanta, Tibetan Buddhism, with the help of the use of some classic Vedic long mantras, with the help of music meditation combined with Bhavana, with the help of some specific lecture promoting our necessary understanding to open to this core reality and of what is preventing us to open to it, with the support a specifically designed Hatha yoga class and other body work oriented on inducing more mystical state (working mostly on Anahata-Hrid chakra and Sahasrara) and some additional group processes that will help and support this awakening to our Divine essence. Navaratri : what is it? It is a tradition originated in India, by observing the cylce of manifestation, the Tantrics have noticed that there are more appropriate moments for increasing spiritual evolution. 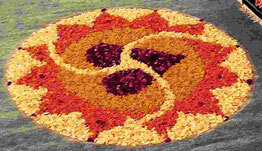 Navaratri are widely recognised as such times during the cycle of the year. Out of the four navaratris that exists per year, two are more used for spiritual evolution: one in March-April and the other one in October-November. Nav means 9 and Ratri means nights, so it is the cyle of the 9 nights of the Goddess, the inner fight bewteen the Good and Evil tendencies in us. So it is a great opportunity to purify the different levels of our beings: physical, emotional and mental. It is the best time to face the multiple facets and resistance of the Ego and to progress into our conquest against our own negative tendencies. In order to amplify the work during this period of time, we may use a living yantra built to support the process. The archetype of the Goddess that is embodied in the Yantra differs from time to time according to the needs of the circumstances of the navaratri: place and people joining the event. It is the best time of the year to join meditation retreats in general. This retreat when done with a specific growing yantra is also associated with an initiation in a long mantra form the Right Hand Tantric tradition. Kundalini retreat, Consciousness and Bliss: during 3 to 10 days silent retreat, we explore the play and polarity of Shiva and Shakti through the agency of techniques and tools from Yoga and the Right Hand Tantric tradition of India. We work on deeply harmonizing and increasing the Shakti, the energy-knowledge side of our being, commonly connected with the 6 first Chakras and the rising of Kundalini Shakti, and we integrate ourselves more and more in recognizing and identifying the pure awareness, the witness consciousness, the Siva aspect, associated with the Crown, Sahasrara Chakra, reintegrating both aspects in the Spiritual Heart, learning to recognize in ourselves this eternal play of energy and consciousness and the essential unity of the two. 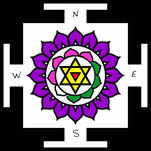 This retreat is the inspiration of the Kundalini workshop, it is the longer version of it, going more in depth with the practice of the Kundalini mantra and connected also with more use of the righ hand tantric rituals (building of a growing or a rice yantra, Yagna, using long mantra,...) and it is also combined with the practice of silence that amplifies the result of the practice. All spiritual experiences are connected with the awakening of Kundalini Shakti. Kundalini is our potential energy, its awakening is essential to all spiritual growth and there is no real progress in spirituality that does not include this process, if it is understood or not. Through this retreat, you recieve an initiation in a long mantra used in Japa (repetition of a Sanskrit formula) that will help to activate this sacred power in a safe and progressive way, with the support of a genuine lineage from the Indian Tantric tradition. There will also be a special yoga class connected to the more direct activation of Kundalini as well as some simple techniques to stabilize the activation, including a spiritual fire ceremony, yagna. Info concerning the kundalini workshop click here.